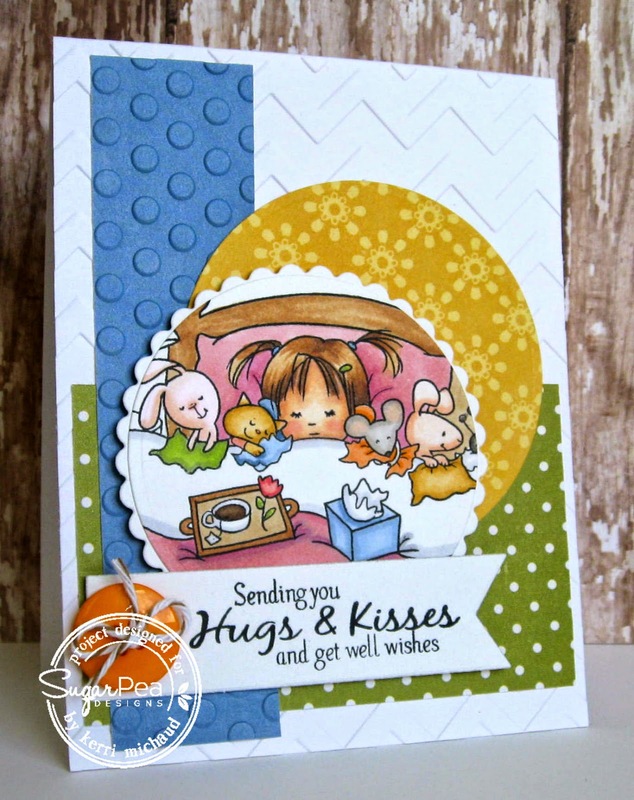 I used this super sweet image from the new set Sniffles and Snuggles. I stamped the image with Memento Tuxedo Black and cut a portion out using a Circle Nestability. I colored with Copics and used some Echo Park Fine and Dandy dp. We hope you'll play along too! 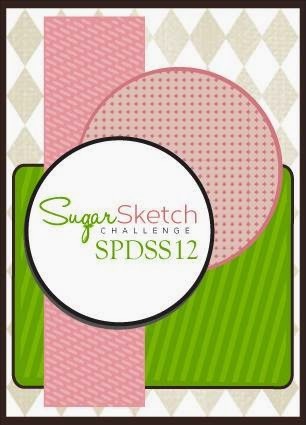 Just link your creations using the sketch on the SugarPea Designs Blog for your chance to win a $10-$15 Gift Certificate to the SugarPea Designs Online Boutique! This is just so darling!! This is absolutely adorable Kerri. Gorgeous coloring.